On Tuesday, DNA testing startup Helix launched a new test that looks at your risk of diseases like breast cancer, colon cancer, and high cholesterol. You can buy the test online for $260, but it must be approved by a physician. Helix partnered with clinical diagnostics company PerkinElmer to create the test, which includes genetics counseling. The test also uses a type of sequencing that some experts say all DNA-based health tests should use. A genetics testing company you may not have heard of just made a big debut. The startup, called Helix, launched a new DNA test on Tuesday that offers some of the same health insights as those of competing tests like 23andMe, only in a format that the company claims is more comprehensive, more convenient, and more responsible. Available online, the test looks at the impact of several dozen genetic variants on your risk of diseases such as breast cancer, colon cancer, and high cholesterol. Called GenePrism, the new test is the result of a year-long collaboration between Helix and clinical diagnostics company PerkinElmer. Where a 23andMe test looks only at some of the key letters in the book of DNA that makes up someone's genome, Helix's new test looks at chapters. In addition, the test provides access to experts who can help people understand their results, something 23andMe does not do. "This is potentially very heavy information," Elissa Levin, Helix's senior director of clinical affairs, told Business Insider. "We're not glossing over it." Helix's test uses a model that's similar to that of another Silicon Valley startup called Color Genomics. Like with Color, a doctor is required to sign-off on the new test, but customers can buy it themselves. Helix also worked with a digital health and genetics startup called Genome Medical so that when people want to talk to a genetics counselor, they can do so digitally without needing to call or make an appointment. The test costs $260. Genetics counseling is included. In designing the new test, experts from Helix and PerkinElmer stressed to Business Insider that they had to strike a careful balance. They wanted to give people information that they can use to improve their health without overloading them with data. "People want to know what they need to know," Justin Kao, Helix's cofounder and senior vice president, told Business Insider. "At the same time, we don't want to throw the kitchen sink at them." The new test looks at 59 genetic variants that are considered "medically actionable," as defined by the American College of Medical Genetics and Genomics. Genetic variants in this category must have a high impact on someone's risk of disease. When it comes to breast cancer, for example, the genetic tweaks included in the new test significantly impact whether someone will develop the disease. The variants in the test must also be variants that someone can do something about. "These are conditions where if you get a positive result, your physician will be able to walk you through how to intervene," Kao said. For example, if someone learns they have a genetic variant tied to a higher risk of colon cancer, the medical protocol is to have them start getting regular colonoscopies or bowel exams, thereby increasing the chances of finding the disease earlier. Helix's new test also stresses consumer privacy. To download your results, you must pay $499 and use two-step verification, which experts have previously told Business Insider should be the norm for genetic data. One of the trickiest components of delivering genetic information has to do with what happens when someone gets a negative result. While a positive result with the new test suggests that someone has a significantly higher risk of a disease like breast cancer, a negative result does not necessarily signify that they are free from risk or at a low risk. Providing this insight to people in a way that is both responsible and helpful can be tricky. Everything from someone's family history to how often they exercise and what they eat can impact their disease risk. For that reason, having a genetics counselor who can walk through a patient's test results is critical, Madhuri Hedge, the vice president and chief scientific officer of PerkinElmer's genomics division, told Business Insider. "Interpretation is a big piece of this test," Hedge said. Some DNA-based health tests, such as 23andMe's, look only at a snapshot of all the genes in your DNA, otherwise known as SNPs (pronounced "snips"). While that information can have value, it is akin to reading a few thousand letters from the page of a book containing all your DNA data, Levin said. Helix's new test - like Color's - is more comprehensive. It essentially provides a glimpse at several chapters in that book of DNA. According to Hedge, that means there's significantly less wiggle room for interpreting the results incorrectly. Theodora Ross, the director of the cancer-genetics program at the University of Texas Southwestern, believes this more comprehensive approach, also known as exome sequencing, is the only way genetic testing should be done today. "Doing this kind of sequencing is a no-brainer. 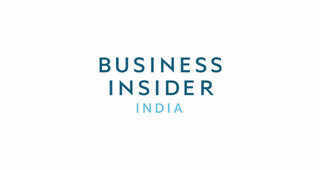 Using SNPs [the method 23andMe uses] is just silly," Ross told Business Insider. Still, Ross was not convinced that the new test is a one-stop solution to delivering genetic insights to people. She said she was surprised that Perkin Elmer and Helix had not yet published a peer-reviewed paper explaining how they interpret people's genetic data. "It's a black box," Ross said. "That makes me think, 'buyer beware.'" Ross also stressed that she'd like to see patients connect directly with their personal physician, rather than with someone arranged online, to ensure that the genetic information from the test is entered permanently into their healthcare record. But that doesn't necessarily rule out the utility of Helix's new test, she said. "There's some really good new genetic science out there," Ross said. "I'd just like to see more from them."